A bird experience! 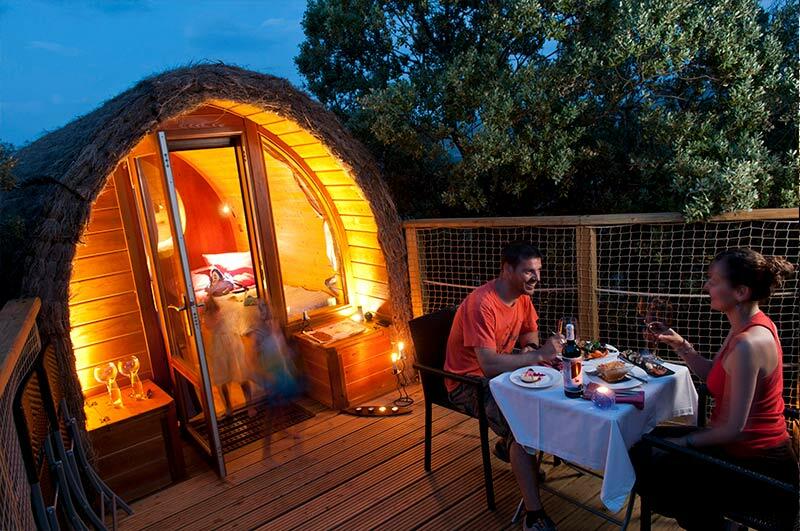 Tree top cabins in Spain. 5 people: 2 adults + 3 children + WC. 4 people: 2 adults + 2 children + WC. New! 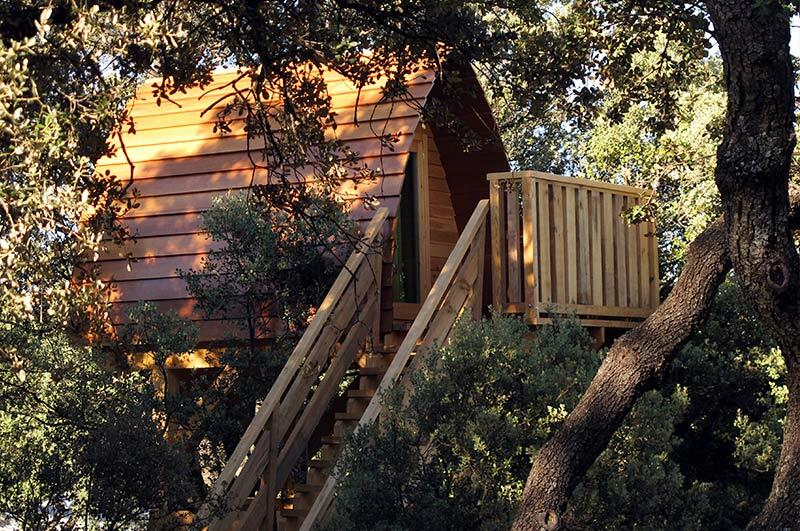 Tree top cabins for 2 adults + 3 children. Stunning views to the National Park. 2 of them are connected by a Tibetan bridge. 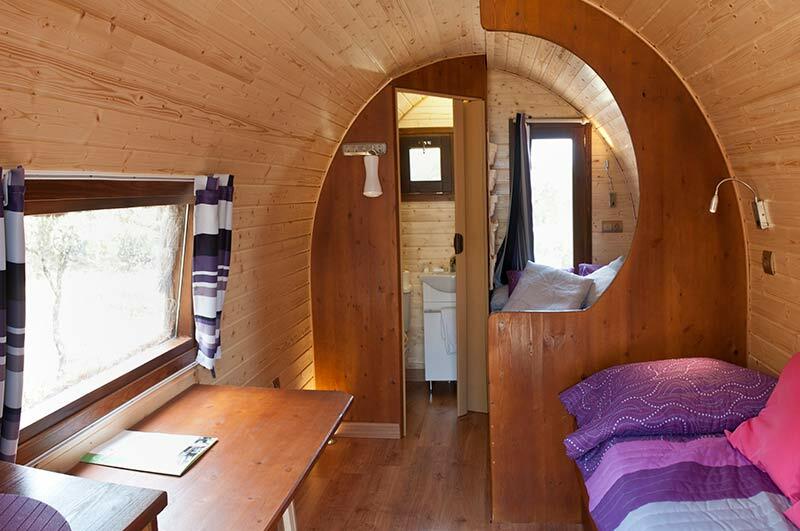 12 m2 cabin + 12 m2 terrace. 1.20 m. bed + 2 bunk 0,80 m. beds + 1 trundle 0,80 m. bed. Heating system, electric light, water. Microwave, small fridge, indoor table and 5 seats. 5 chairs and 1 outdoor table. Linen and towels included. Hot shower and heated toilet building is nearby. 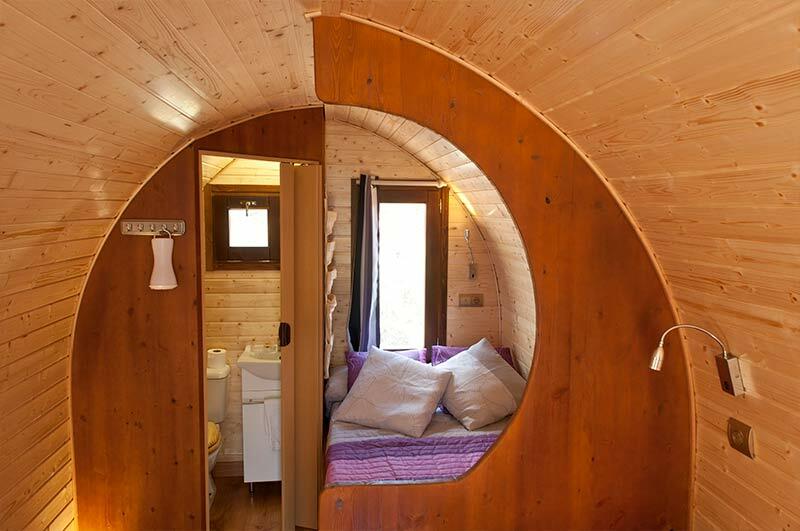 Family tree top cabin in Madrid, Spain, for 5 people, car included. 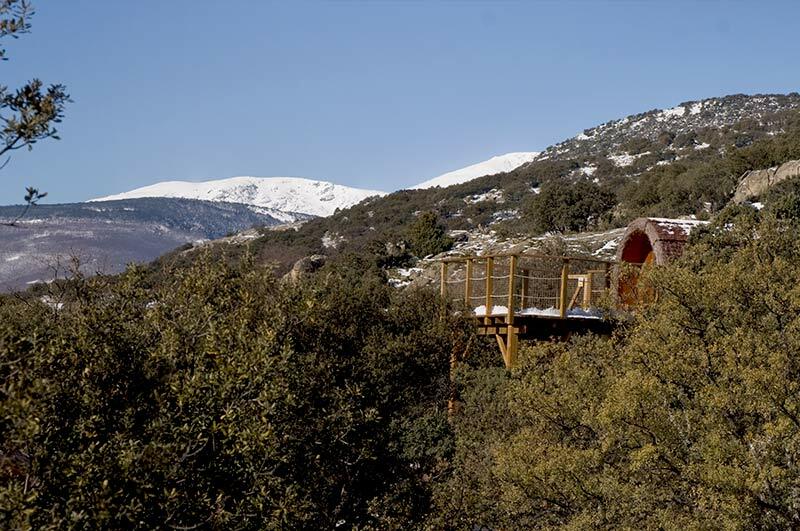 Tree top cabins for 2 adults + 2 children. Stunning views of the National Park. 1.20 m. bed + 1 0,80 m. bed + 1 trundle 0,80 m. bed. 4 chairs and 1 outdoor table. 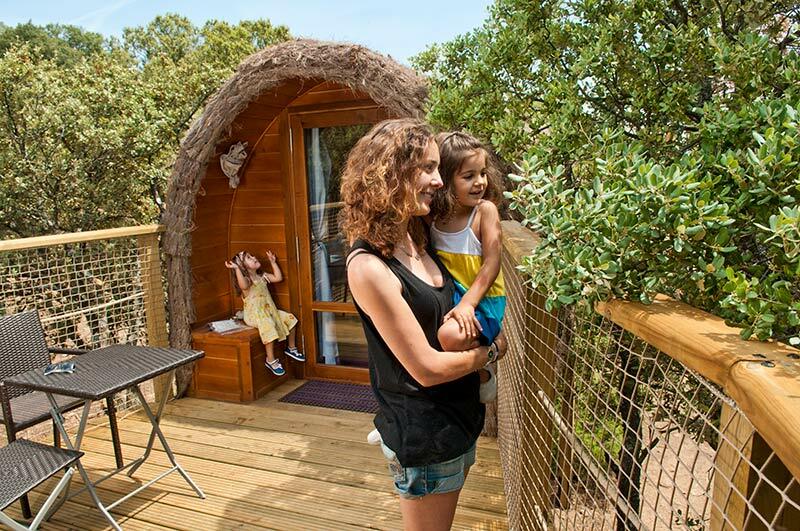 Family tree top cabins in Madrid, Spain, for 4 people, car included. Feel like you are in a nest. 2 cabins for 2 people each, 4 m. high. 2 chairs and 1 outdoor table. 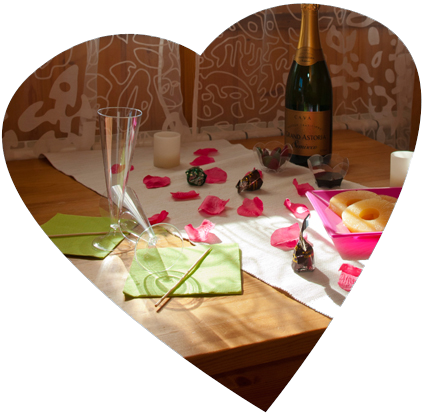 It is a nest: NO linen, NO towels, NO WC, You have to bring your sleeping bag. The toilet block with hot showers is nearby, and is heated 24h.